2) Click on the large blue button to connect your Instagram account. 3) Once you’ve connected your Instagram account you can use the associated buttons to add or remove it from your Primary user feed, or to add it to another feed on your site. 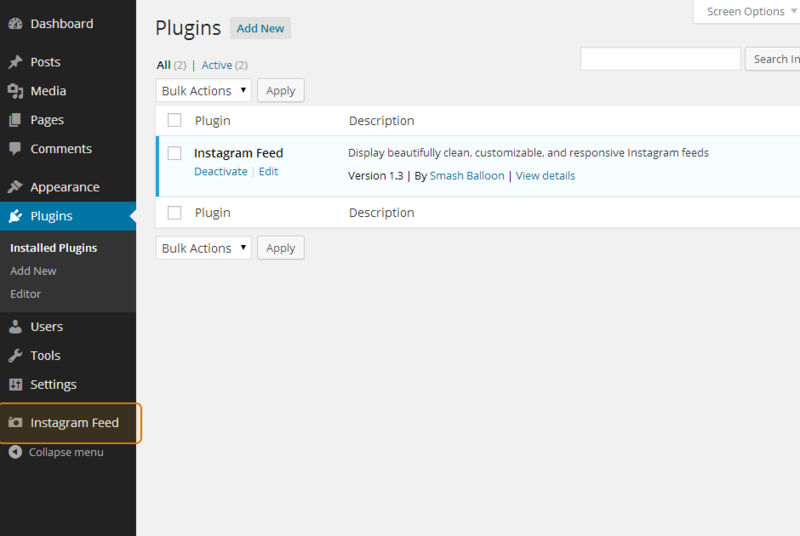 4) Navigate to the Customize page to customize your feed. 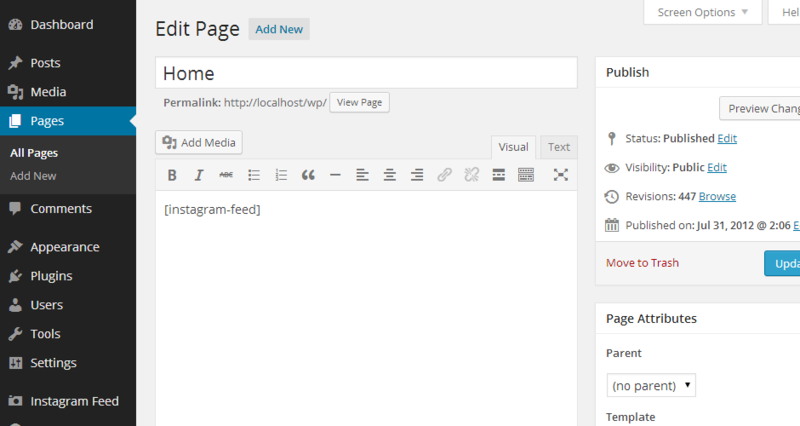 5) Once you’ve customized your feed, copy the [instagram-feed] shortcode into any page, post or widget where you want the feed to appear. 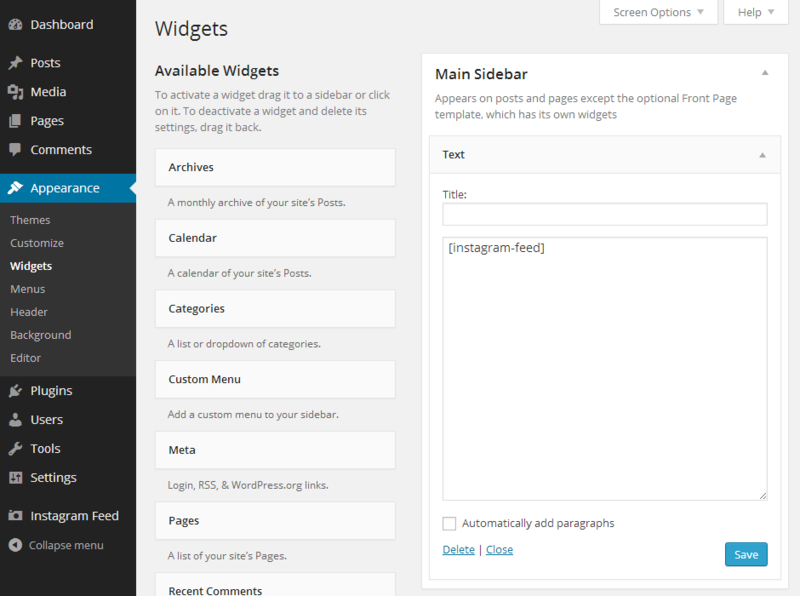 6) You can use either the built-in “Instagram Feed” widget, or the default WordPress “Text” widget, to display your Instagram Feed in a sidebar or any other widget area. For an overview of setting up the plugin check out the video below. Note: The video demonstrates the Pro version of the plugin, which includes more features than the free version, however, the initial setup process is the same for both the free and Pro version.